KidStart Magazine > Lifestyle > Reviews > John Lewis uniforms with the power to save a parent’s sanity! John Lewis uniforms with the power to save a parent’s sanity! KidStart have been talking to John Lewis about their kids uniforms and what makes them so hard wearing. John Lewis are really focused on helping parents with the stress of sorting out all the school and club uniforms for all their kids. John Lewis are renowned for quality in general but this becomes all the more important when creating uniforms for kids that will be worn every day and put through their paces with school or club activities. 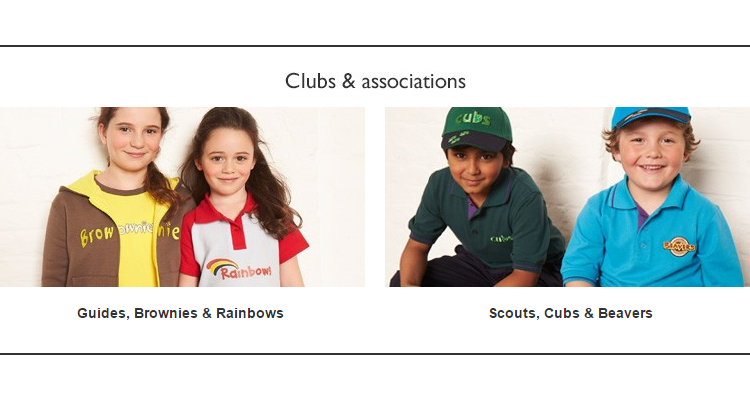 They cater for school specific uniform – check out their uniform by school tool – as well as generic school, club and association uniforms including Brownies, Guides, Rainbow, Scouts, Cubs and Beavers. DuPont™ Teflon® fabric protector is applied to trousers, skirts, shorts and tunics to create an invisible force field to protect John Lewis clothing. The look, feel and breathability of the cloth remains the same, but stains and spills clean up quickly and easily, fabrics retain their colour and quality so they look better and last longer. It’s easy to clean, easy to care for and helps to lower the impact on the environment. Look out for the Teflon® fabric protector logo in the John Lewis school uniform range. 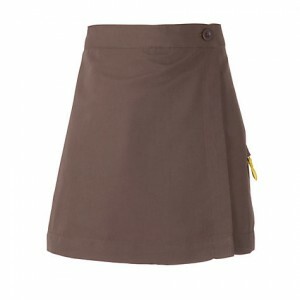 This smart Brownies skort is a combination of a skirt and shorts. It has zip fastenings, a coin pocket, single flat cargo pocket, 2 rear pockets and a embroidered Brownies patch at the back. Made by David Luke under licence from Girl Guiding UK. John Lewis understand that parents are very busy and time saved on ironing kids uniforms is a true gift. Non-iron shirt and blouses are made with taped seams. Therefore, as long as you hang them up to dry immediately after washing then they’ll be wrinkle free. 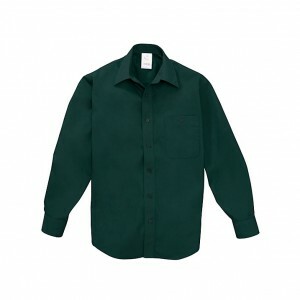 Perfect for exploring, this regulation Scouts shirt has full length front button fastening and a button down collar. It also has a chest pocket, embroidered “Scouts” on the wearer’s right arm, a single pleat at the back and a loose fit. John Lewis trousers and skirts come with adjustable waists meaning you can fit them to your child properly giving extra comfort for active kids and if an unexpected growth spurt comes their way, waistbands are easy to adjusted saving on buying a whole new set. 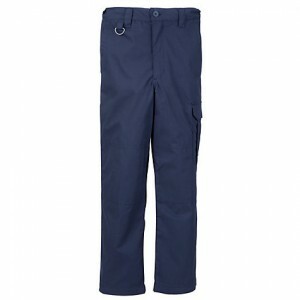 Whether they’re a beaver, a cub or a scout, these activity trousers in navy make an ideal wardrobe addition. Featuring an internal waist adjuster, button and zipper fly, the longer leg length helps keep children comfortable. The leg pocket also includes an inner pocket, ideal for keeping valuables safe and secure. Any John Lewis knitwear treated with the Novozyme will resist pilling and colour fade. Meaning they look better for longer defeating the signs of aging – perfect for hand-me-downs to siblings. 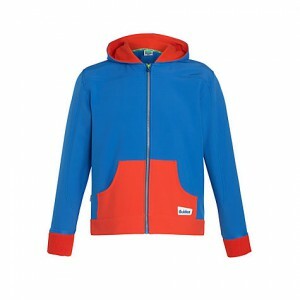 A blue and red hoodie for members of the Girl guides, featuring a zip-through fastening and kangaroo pockets. John Lewis have a very handy Back to School checklist and sizing guide to help you work out what you need. You should also check out their hard wearing school shoes, school bags. Don’t forget, you can visit the stores to try sample sizes on. And then order uniform online. If you order online before 7pm, you can collect in store for free after 2pm the next day. Plus if you shop via KidStart you can earn an extra 3% back from John Lewis. To top up your children’s savings, making their future even brighter.